The party season is upon us! Whether you’re hoping to cook up something different for your Christmas and New Year gatherings or you’re already looking ahead to Chinese New Year, we bring you a recipe fit for a celebratory feast. 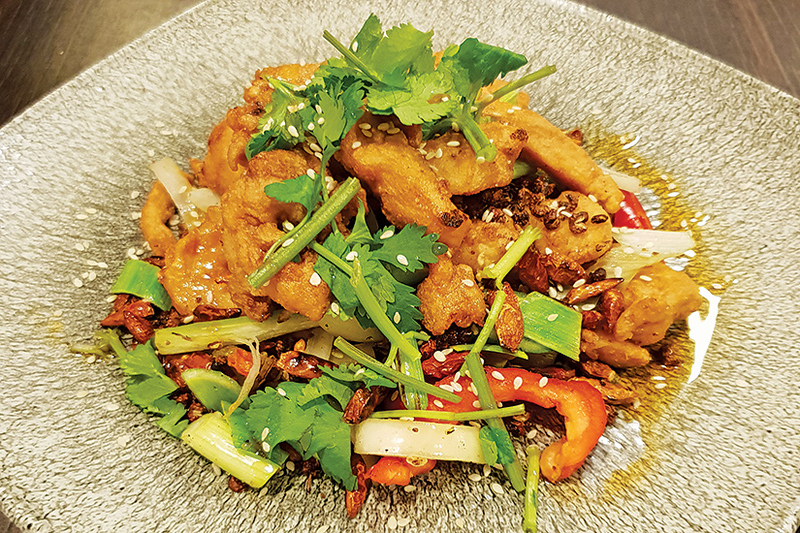 Impress your guests by serving up Geleshan Chicken – with instructions courtesy of Kwok Cheung, the head chef at Jin Restaurant in the Crown Plaza hotel at Liverpool John Lennon Airport. 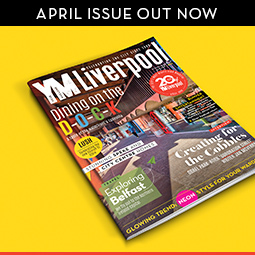 Kwok leads the Liverpool team in giving traditional Chinese dishes a modern twist, keeping authenticity at the heart of the menu as they collaborate with Jin’s sister restaurants in Beijing and Hong Kong. 1. Slice the chicken breast thinly and marinate in potato starch, soy sauce and the whisked egg. Set aside. 2. Slice all vegetables into bite-size stir fry pieces. 3. Heat a wok with vegetable oil to a blue haze and quickly cook the chicken until cooked through. Then drain off the oil and wash the wok. 4. Return the wok to the heat and stir fry the vegetables. Add the Szechuan peppercorns, dried chillies, chilli powder, salt, sugar and ground peppercorns. 5. Add the chicken back to the pan and sprinkle with sesame seeds, before finally splashing on the rice wine and plating up the dish. 6. Finish with red chilli oil and coriander. To explore more of Jin Restaurant’s modern, authentic Chinese cuisine, visit www.jin-restaurant.com or call 0871 510 1360.